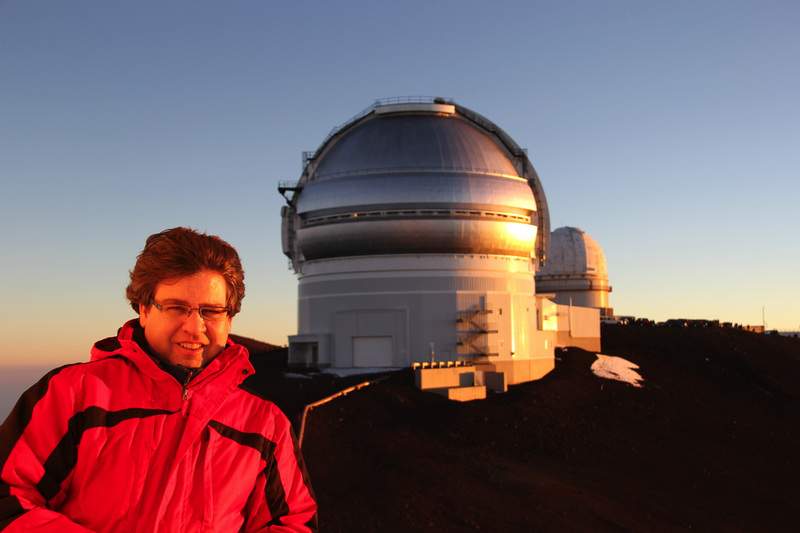 ​My name is James Durbano and I'm an astronomer specializing in education and public outreach. I live in the Foothills of Southern Alberta, between the Rocky Mountains and the Prairies. I have been keeping an eye on the sky for over 30 years and have had the great privilege of personally sharing the wonders of the universe with more than 50,000 people. Over the years, I've worked as an educator at several science centres and science museums, in both Ontario and Alberta, including the Roberta Bondar Earth and Space Centre Planetarium at Seneca College, the Royal Ontario Museum, the Royal Tyrrell Museum, the Edmonton Space and Science Centre, Calgary SpacePort, the TELUS World of Science - Calgary, and most recently TELUS Spark. I've also worked at the University of Lethbridge as a coordinator of space and astronomy education projects, in partnership with the Canadian Space Agency. In 2013, I started operating my own portable planetarium, which I like to call the AstroDome Planetarium. Since then, I have gone to visit many schools in and around Calgary, and several other schools located across Alberta. Using my amazing mobile digital planetarium, I'm able to share the wonders of the universe with up to 250 students each day. ​As you can probably tell, I really do enjoy taking people on a tour of the night sky and it doesn't matter if I'm outside under the real sky, using a green laser pointer and a telescope, or if I'm under a simulated sky - inside a planetarium - using a red laser pointer and an iPad. It's always a lot of fun and it never feels like work. In 1998, I founded the Big Sky Astronomical Society with the goal of establishing a public observatory devoted to education and situated under a dark sky. Ten years later, the Big Sky Observatory celebrated its grand opening and just recently it has seen some significant upgrades and enhancements. 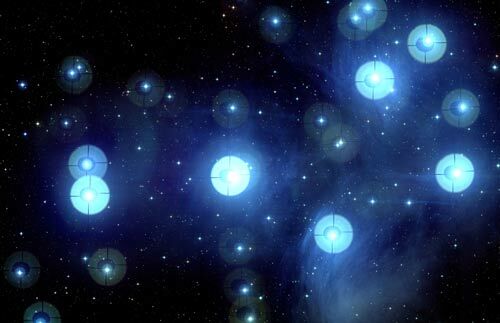 In 2015, while visiting the summit of Mauna Kea, on the big island of Hawaii, I was given a personal tour of the CFHT, where the photograph of the Pleiades had been taken ten years earlier. This tour included a walk around the catwalk - located on the outside of the observatory. It was a truly unforgettable experience! For many years, I have been interested in photographing the night sky and have dabbled with this on and off. However, over the past few years, I have been spending much more time engaged in this pursuit. So far, two of my eclipse photographs have been published in SkyNews Magazine. The first one was published in the March/April 2011 issue of SkyNews. 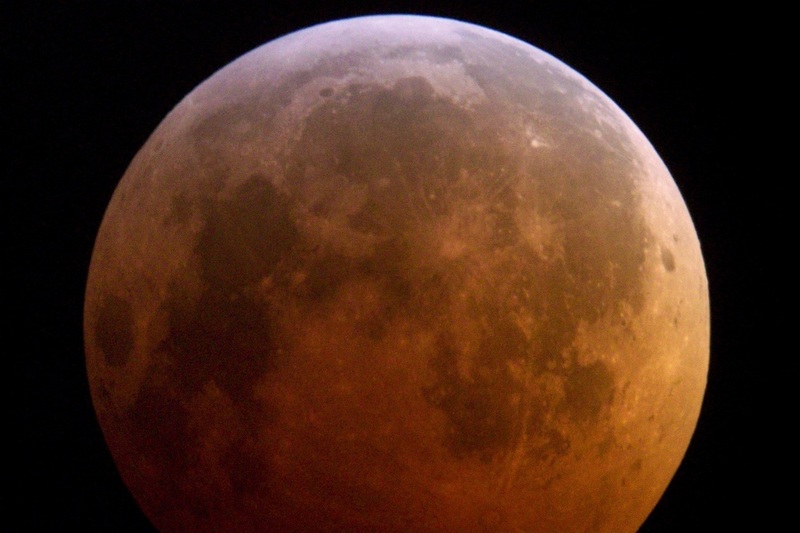 The photograph was taken during a total lunar eclipse in December 2010. The second photograph was published in the January/February 2015 issue of SkyNews Magazine. 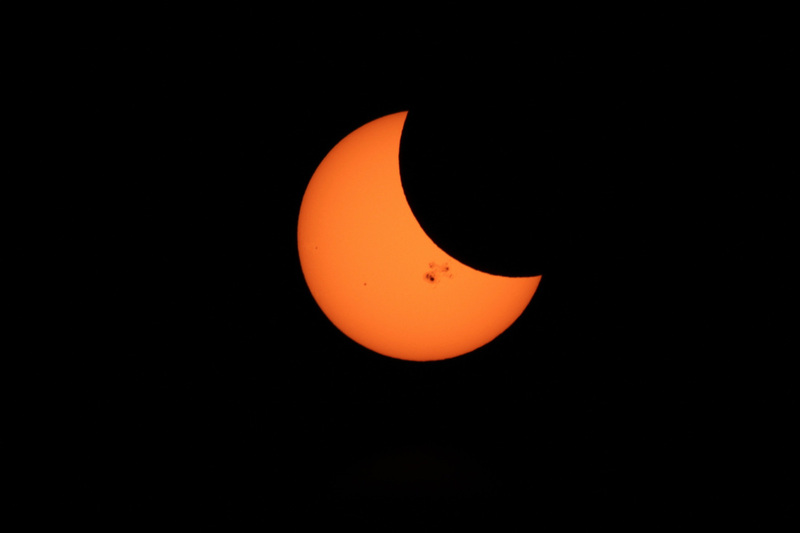 This photograph was taken on October 23, 2014, during a partial solar eclipse. My first-ever digital image of a celestial object was taken way back in 1992. In those days, most people had never even heard of a digital camera. The camera was an SBIG ST-6 and it belonged to the Department of Astronomy at the University of Toronto. I used this camera for my undergraduate research project. As you can see, my first digital image of a celestial object was Saturn, which is fitting because it was also the first planet that I "discovered" with my backyard telescope, back in the 1980s. The image was captured using the 8-inch refracting telescope at the University of Toronto, which is located on the rooftop (16th floor) of the McLennan Physical Labs. Both of my undergraduate degrees are from the University of Toronto. I have a Bachelor of Science, having completed programs of study in Astronomy, Geology, and Geography. I also have a Bachelor of Education, having completed programs of study in General Science and Environmental Science. In addition to night sky tours, planetarium presentations, and photographing the sky, I also spend some time writing about astronomy and space exploration. I have written stargazing article for Routes Magazine and have written many newspaper articles that have been published in community newspapers across Alberta. If you require an astronomer for your special project, especially a project that involves astronomy education or public outreach, please contact me. I'm always happy to discuss astronomy projects and I may be able to help you.